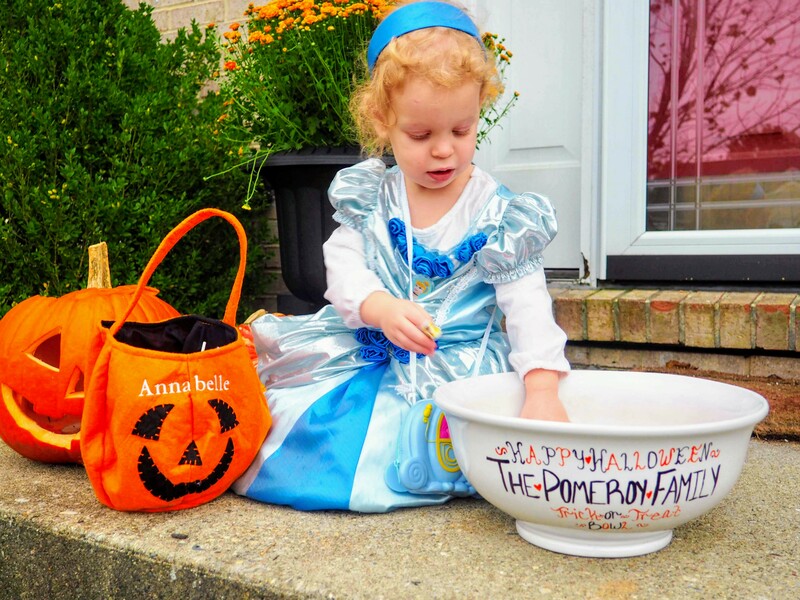 This year for Halloween was extra special to us because it was the first year that Annabelle actually chose her costume all by herself. 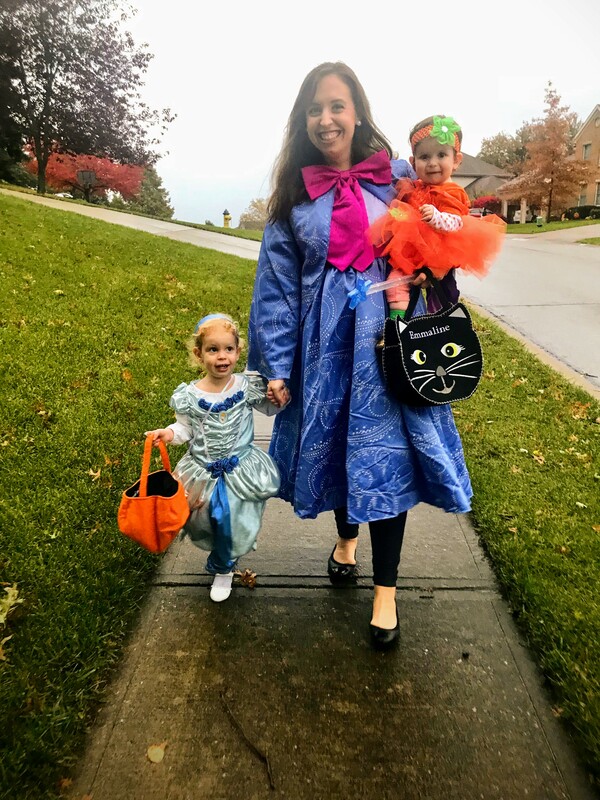 In the past we had done family costumes and we had picked out what she was going to accordingly, but this year when I asked her who/what she wanted to dress up as for Halloween she had a very clear answer – Cinderella. 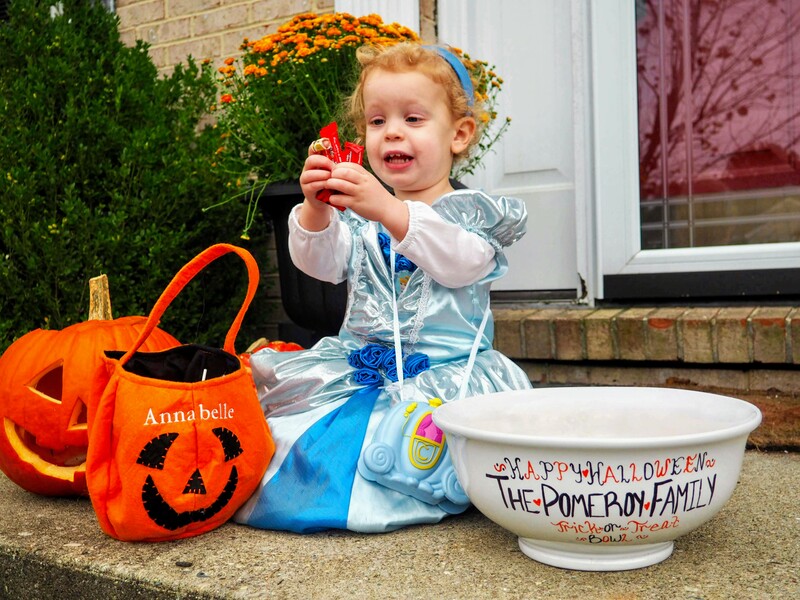 This didn’t come as a surprise since she is obsessed with all things Disney princess right now like most other 3 year old girls her age. It was really fun to actually have a conversation with her about what she liked and wanted and I was excited to make that dream of hers come true. 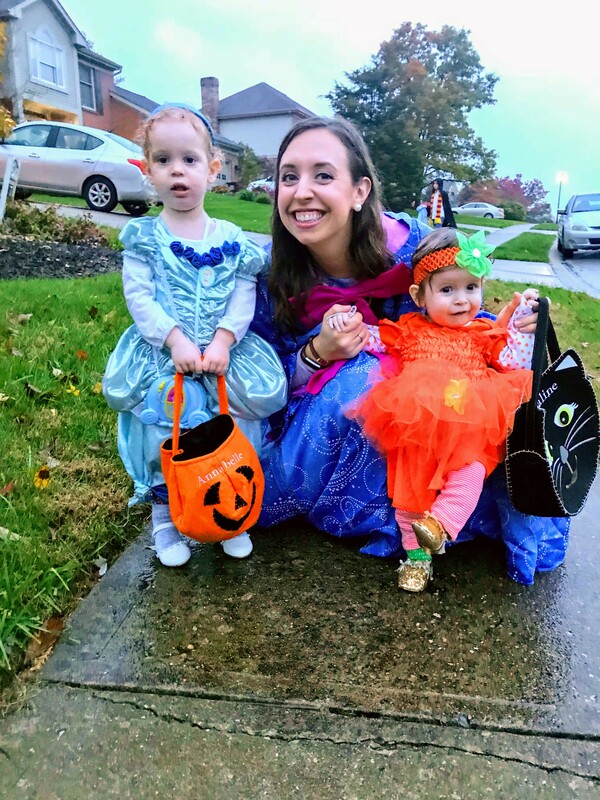 And even better she already had her outfit since it is one of her favorite princess dresses to put on and play in around our house on a daily basis! 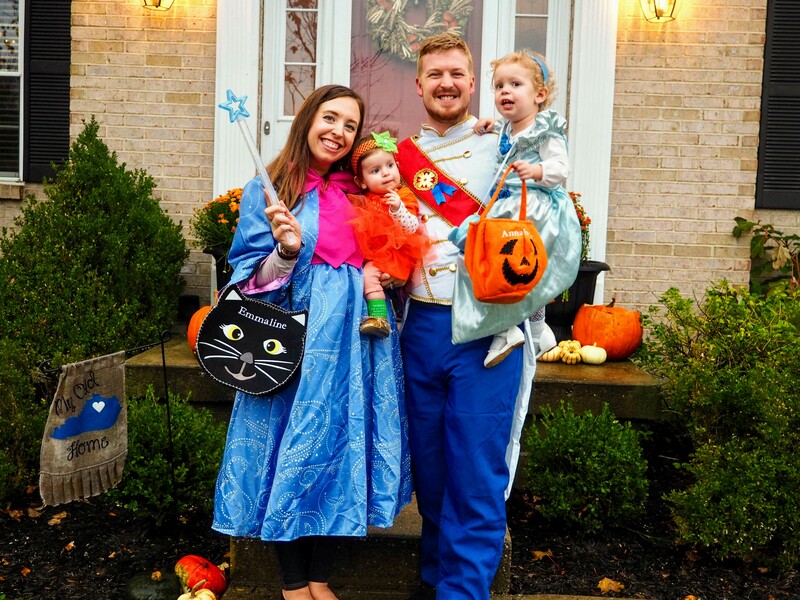 I still really wanted to keep our tradition of family costumes going for as long as I can though – so I started thinking of people/characters we could be that would go with her Cinderella theme. 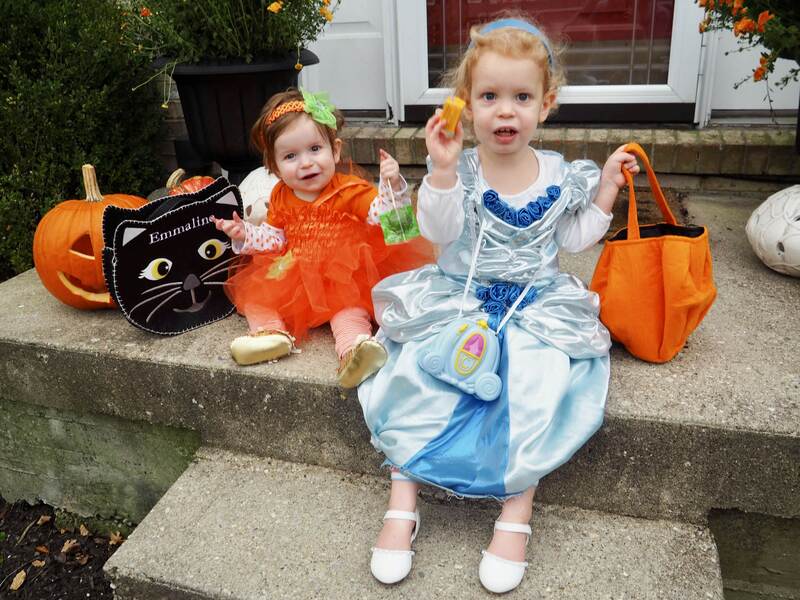 I have a feeling this is going to get harder in a couple years when Annabelle and Emmaline both are able to pick their own costume and will inevitably want to be two totally seperate things – which will be a different season of fun and cuteness – but for now I am relishing in the season we are in of little babies and toddlers. 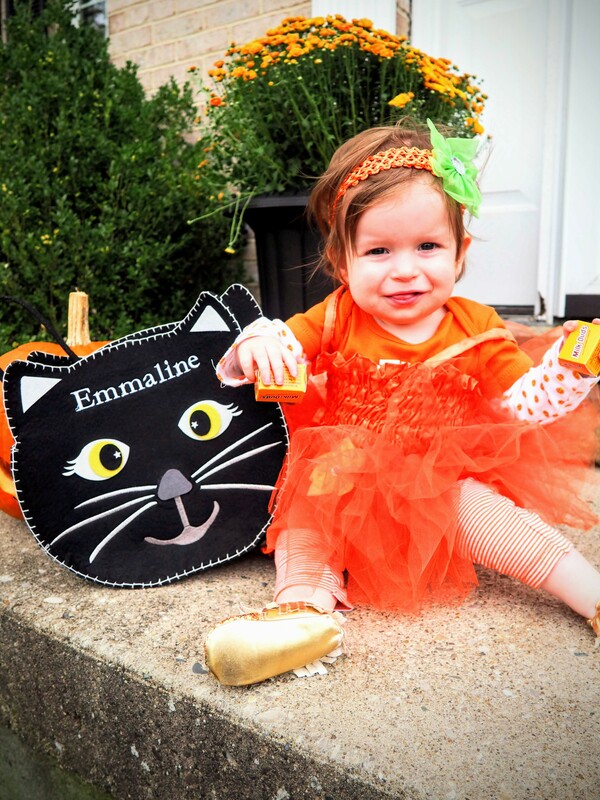 And because of that I could easily just choose Emmalines costume for her so that our girls would have costumes that went together. 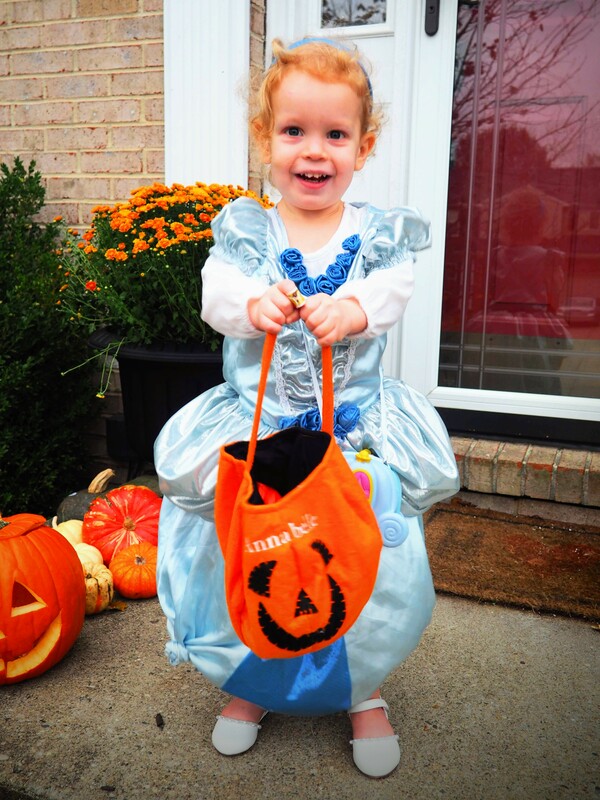 So in true little sister form Emmaline got to be Cinderellas Pumpkin! 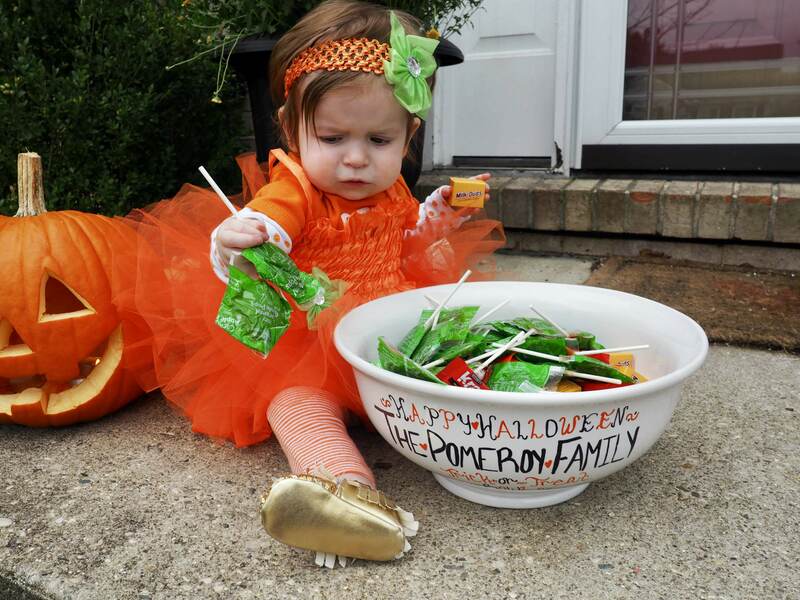 And she was the cutest little “Punkin” I ever did see! 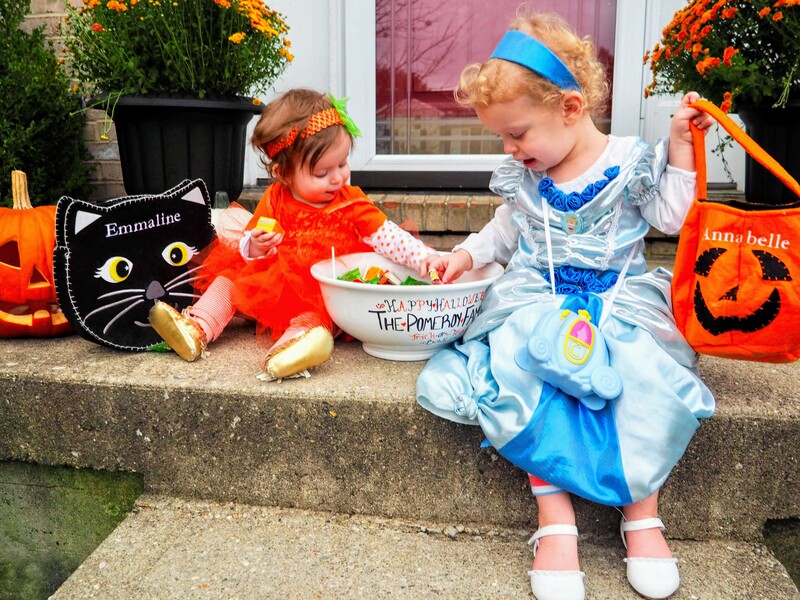 We made sure that her costume was just as frilly and sweet as her big sisters so that in the future hopefully when we are looking back on these memories one day she wont feel like she got jipped not getting to be the princess lol. Matt and I were fairly easy to incorporate as well. 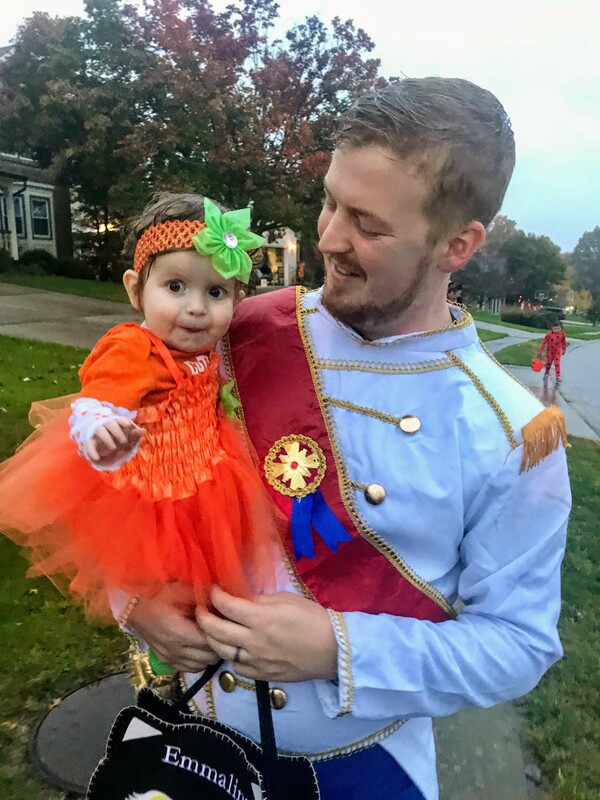 Annabelle was insistant that “Daddy is going to be the prince!” and he was happy to make that special request come true. 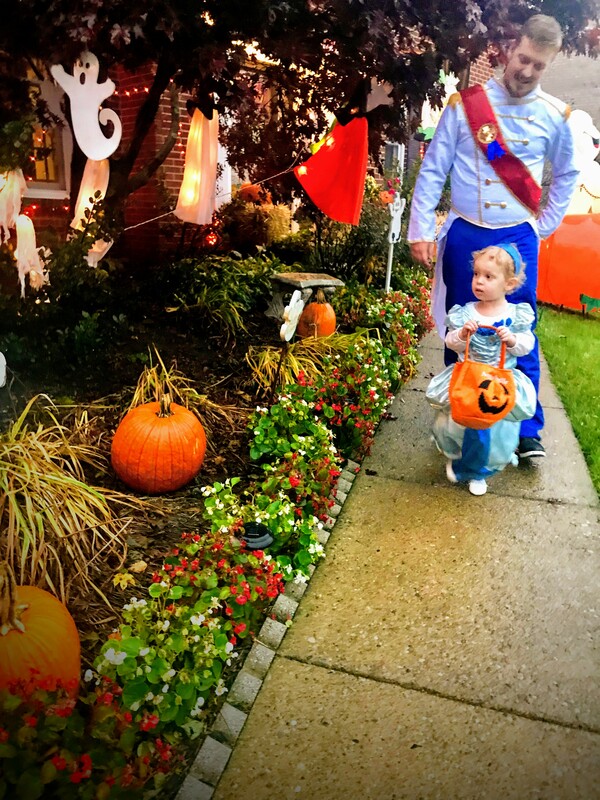 It still melts my heart watching the home videos we have of her seeing Matt for the first time all dressed up and them dancing in our living room together before we went trick or treating. 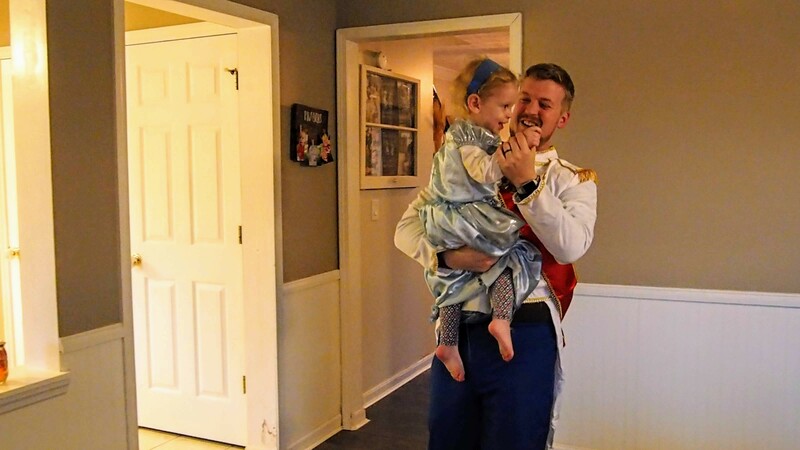 To this day when she puts on her Cinderella costume she wants Matt to see her in it and watch her/ remark on how beautiful she is as she comes down the stairs – and again he is always ready to do just that. 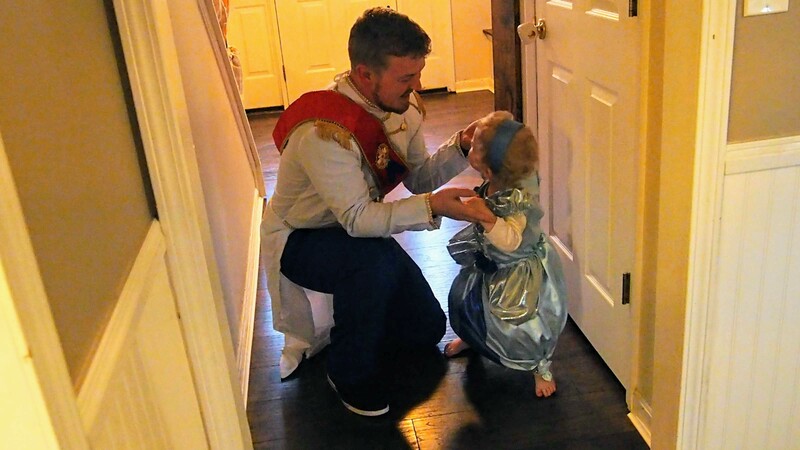 It just goes to show how important a daddy’s opinion is to his little girl. Her viewpoint of who she is – is wrapped up in what he thinks and says at this age.